Let’s go to the Hop. 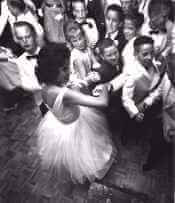 (Oh, baby) Sock hops, dances, cotillions. They only differed in their formality. Often these were held in the school gym, on the wooden basketball court, where street shoes were forbidden. A sock hop. What they have in common is that people danced. With each other. Cheek to cheek. Touching. Lots of touching. I don’t know why the practice of dancing close and in unison went the way of the family dinner – but both were wonderful ideas. I should explain what these terms meant to us. Necking and Making Out – Used interchangeably, but technically, necking didn’t go below the neck. Really. Hickey – A slightly bruised area on the neck which guaranteed that everybody would be talking about you by lunch on Monday. Very difficult for kids in South Florida because turtlenecks were pretty obvious. Second Base – Includes the area the Baywatch Babes are famous for. (Certainly not from the neck up) Only if you really liked the guy and never on the first few dates. Third Base – Nice girls didn’t go to third base before marriage. Enough said. Yes, that’s me in front, circa 1962. Please note the gloves. And, yes, that’s my dance card. The blanks, I’ll thank you to remember, were left that way for spur of the moment decisions. Number 8, David Edgar, turned out okay. He won an Olympic Gold Medal for swimming. The blond fellow to the left, #18 on the card, is now a dentist – Dr. Randy Stockton. The pretty blonde is Anne Carter. As for my “date” (who was always your first and last dance), sadly, he is gone. Found shot dead, I’m told, in the Everglades. South Florida – what can I say? Now you need to learn a few dance steps. One for fast dances and one for slow. I’d like to stay longer and tell you more, but the music’s hopping and I think I’ll grab a partner a do a little be-bopping myself.